Saving space and keep dryer in order, suitable for bathroom and washroom. The rack is for small and portable hair dryer. 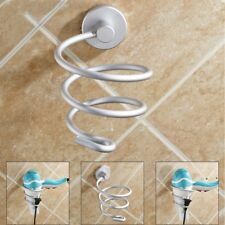 Besides hair dryer, it can be used to hold other bathroom accesseries like flat iron and curling iron. Kitchen Faucet Aerator Water Bubbler Shower Nozzle Water Saving Filter Two Modes. Save energy: Water saving 30%~70% (compared with standard bubbler). 360° rotation: Water can easily covers the whole sink, never worry about clean the sink in cold winter. NEW Nail Art Manicure Anti UV Glove for UV Light / Lamp Radiation Dryer Tools S. CAOMARU Toy Stress Pressure Reliever Anti-stress Squeeze Face Balls Toys Gifts S. Creative Chef Strain Fry Frying Basket Strainer Foldable Washable Kitchen Tool S.
Pushchair Pram Stroller Accessories Buggy Cup Bottle Holder Organiser Mummy Bag. Warm Knitting Wool Craft Baby Chenille Knitting Craft Towel Scarf Sweater HOT Z. Baby Child Kids Toys Bath Toy Hammock Bathroom Tidy Net Storage Organiser Bag Z. Western Cowboy Style Spur & Horseshoe Towel Ring. Size : 12.5x9x9cm (Big size hair dryer can be placed). Material: Aluminium. Canada Rate (item arrived) 0.0% 47.1% 31.4% 17.6% 3.9%. Rate (item arrived). These shampoo hooks holder are made of durable ABS. 1 Piece Sticky Shanpoo Bottle Hook. Jewelry Findings |Health & Beauty |Wedding Decoration |Sports and Outdoors |Jewelry & Watches |Clothing, Shoes, Accessories |Other. One square oak hooks. Oak wall-mounted modern hook. 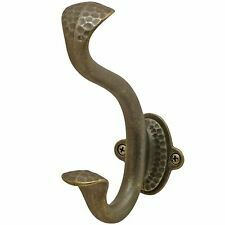 Handbag Hook. 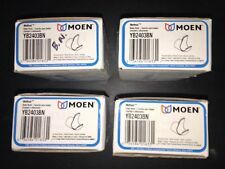 Four square oak hooks. 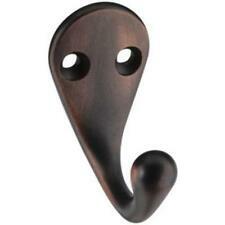 Handbag Hook.Hat Hook_054. Four square oak hooks. Handmade using solid oak. It can also be used as a towel holder. Loure offers thoughtful and versatile accessories that coordinate with a wide range of contemporary faucets and interiors. 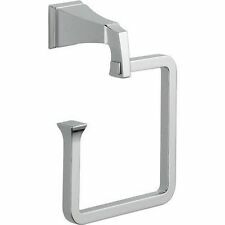 This towel ring features a unique, sturdy rectangular shape for a modern twist to your bath or powder room. Kitchen Squirrel Shape Rice Paddle Scoop Spoon Ladle Novelty Kitchen Gadget - SS. Baby Soft Knitting Wool Craft Yarn Chenille Knit Towel Hats Scarves Sweater - SS. 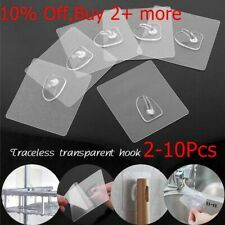 Convenient Thumb Thing Book Page Holder Bookmark For Book Marks Finger Ring - SS. Size : 12.5x9x9cm (Big size hair dryer can be placed). Material: Aluminium. Main Color: Silver. Item Number: 870660. Rate (item arrived). Canada Rate (item arrived) 0.0% 47.1% 31.4% 17.6% 3.9%. 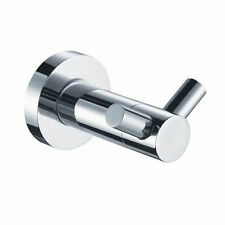 Dry your towels in style with this KOHLER Devonshire Collection Towel Hook in Polished Brass. 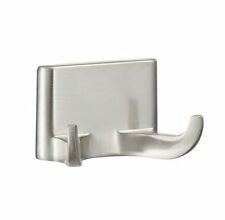 This towel hook is corrosion-resistant and has a tarnish-resistant design, making it a long-lasting choice for your bathroom. Material: Aluminium. 1000pcs 5mm HAMA/PERLER Beads for GREAT Kids Fun Craft DIY 13 Colors Chic -G. Rate (item arrived). Canada Rate (item arrived) 0.0% 47.1% 31.4% 17.6% 3.9%. United Kingdom. United States. 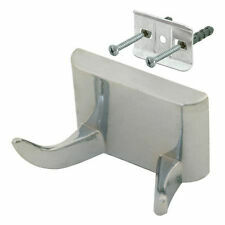 Liberty Hardware B59103Z-SN-C Single Prong Robe Hook, Matte Nickel, Free ship! 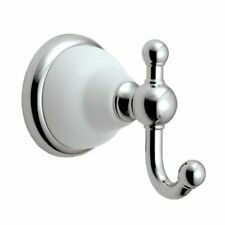 Ginger Grab Bar Polished Nickel HIGH QUALITY!! 4561/PN 16"